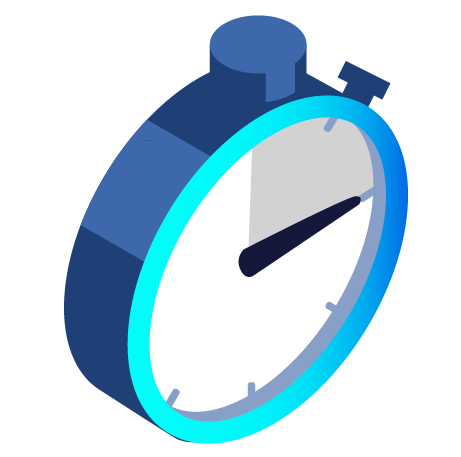 CheckAlt's lockbox product Remit connects a nationwide network of processing sites, accelerating revenue recognition with next-day clearing of payments made before the daily cut-off time. 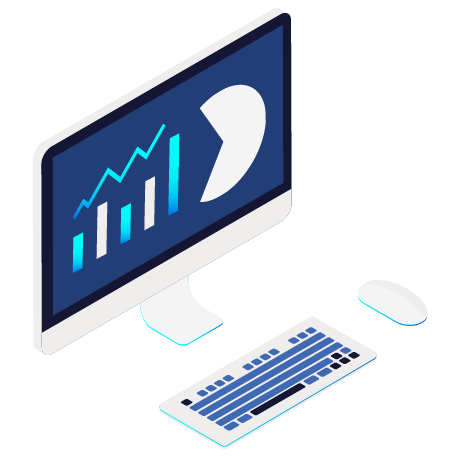 CheckAlt's Remit lockbox services product includes an intuitively designed web portal for detailed tracking of payments and data processed across our nationwide network every day. CheckAlt procures new mailboxes in minutes and implements new lockboxes quickly. Easily set user permissions, manage rules, and handle exception items for same-day processing. Gain insight into your customers’ payment history. Easily generate and download detailed, useful reports for simplified reconciliation. Be in any market with minimal investment. Your payments are delivered and processed at strategically located, highly secure processing sites within our nationwide network. CheckAlt helps financial institutions to create new profit centers with our private-label lockbox services product, adding more value to their corporate clients and to the bottom line. 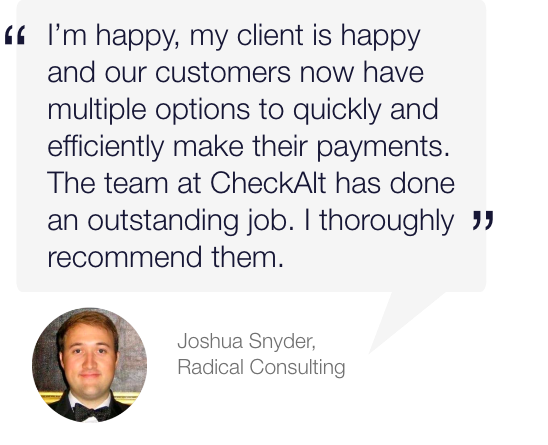 CheckAlt efficiently processes retail, wholesale, and wholetail clients’ paper checks and remittances across our nationwide network of processing sites. By providing total, partial, and flexible outsourcing options, CheckAlt can meet any financial institutions’ unique needs for staying competitive while expanding their market footprint. Remit is available as a stand-alone product or as part of our Integrated Receivables product suite, allowing you to stay flexible as your customers' payment method preferences evolve. 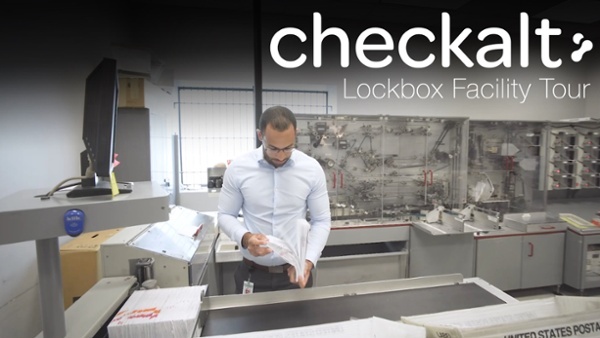 CheckAlt helps businesses of all sizes reduce days sales outstanding (DSO) to under two days using our highly efficient paper lockbox processing network. At each of our strategically located processing sites, CheckAlt batches and scans all paper payments into our online management portal for fast, same-day review and approval of all deposits. Our software can convert these payments into any file format and, because CheckAlt is bank independent, we can deposit them into any bank in the U.S.
Data reports can be exported and downloaded in your preferred format—as PDF, CSV, Excel, Word, or HTML web files—to import into your accounting software for simplified reconciliation. - Be in any market with minimal investment. - Gain greater insight into customer payments. 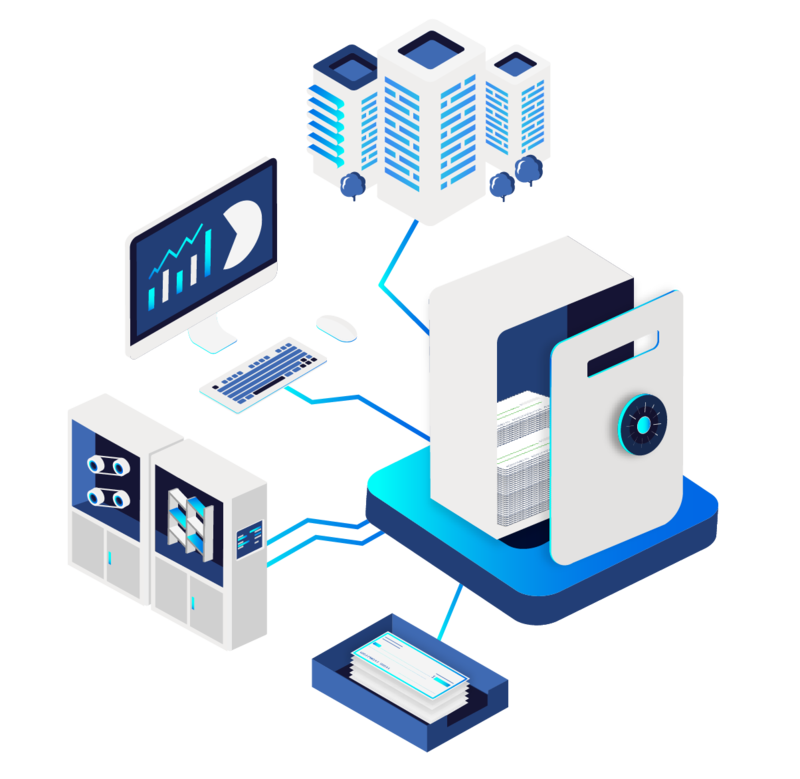 Our highly efficient check and remittance document processing system serves retail, wholesale, and wholetail clients across a variety of industries. CheckAlt offers total outsourced lockbox, partial outsourced lockbox, and flexible lockbox services based on our clients' specific needs. Where are your processing centers located? Financial institutions receive dedicated support and assistance from the CheckAlt technology team for integration and maintenance, no matter where you operate in the U.S.
What are the implementation options for Remit? Designed to meet your needs, CheckAlt’s Remit lockbox services product can be implemented in three different ways. 1. Total outsourced lockbox reduces your cost and gives you instant access to a nationwide remittance/receivables network. We provide all resources—processing facilities, personnel, equipment, and software. Our dedicated team manages scanning and processing of all your clients' payments at any one of our 14 processing sites. 2. Partial outsourced lockbox is cost-efficient and seamless with your existing operations. 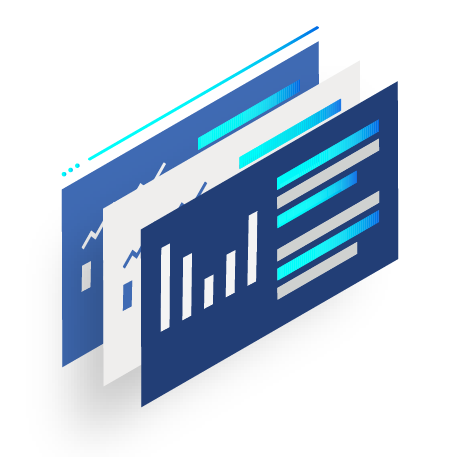 Your own internal processing site simply opens and scans payments, and the data is delivered to our integrated receivables hub via our secure processing software. We handle all back-end lockbox functions. 3. 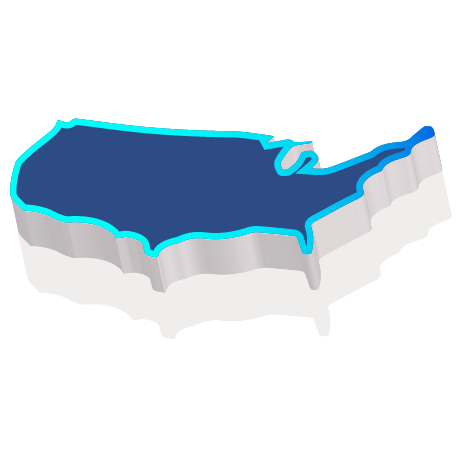 Flexible outsourced lockbox lets you quickly expand your geographical footprint.You maintain your own internal processing sites and software, while supplementing operations with one or more of our processing sites. Using sophisticated APIs, we integrate the CheckAlt processing site(s) of your choosing back into your lockbox system.